Breakups are never easy, especially with your main squeeze. For the case of Troy Tulowitzki and the Rockies nothing has changed. But it is always easier to say goodbye over time. Tulowitzki met with more than 50 reporters before the game to reminisce about his days in LoDo. When the Rockies legend stood at the plate for the first time against his former team, the crowd erupted in cheer and he very cooly acknowledged the crowd by tipping his helmet. After the first pitch, the familiar “Tulo” chants that have echoed through LoDo for nearly a decade made Coors Field feel more familiar. 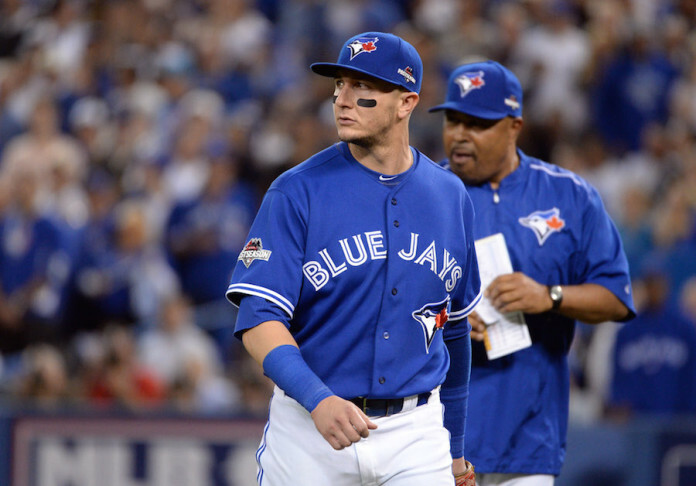 While fans showed their admiration and appreciation, Tulowitzki showed it right back. The trade still may be difficult to accept for Tulowitzki almost a year latter, but that hasn’t stopped him from keeping up with his old teammates. He had Nolan Arenado and Trevor Story over to his home in the offseason. He joked that maybe mentoring them will help him for his coaching resume one day. His former coach, Walt Weiss, said it wouldn’t be weird to see him playing opposite of his team. He compared Tulo and Story in that they are both big shortstops with tremendous range and good hands. Even in a Blue Jays uniform, Troy Tulowitzki will somehow will always belong here.